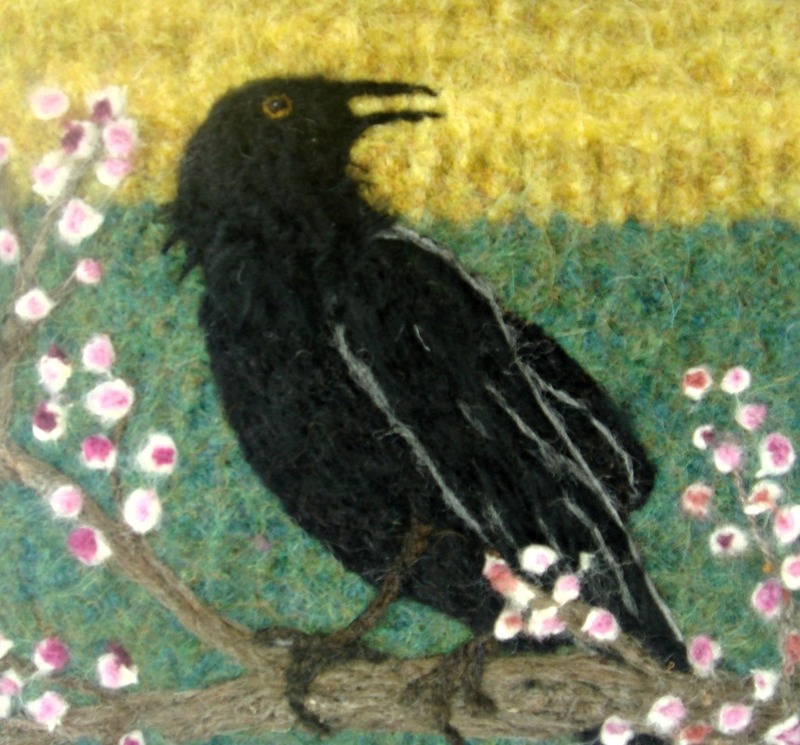 DESCRIPTION:Crow lovers abound!! 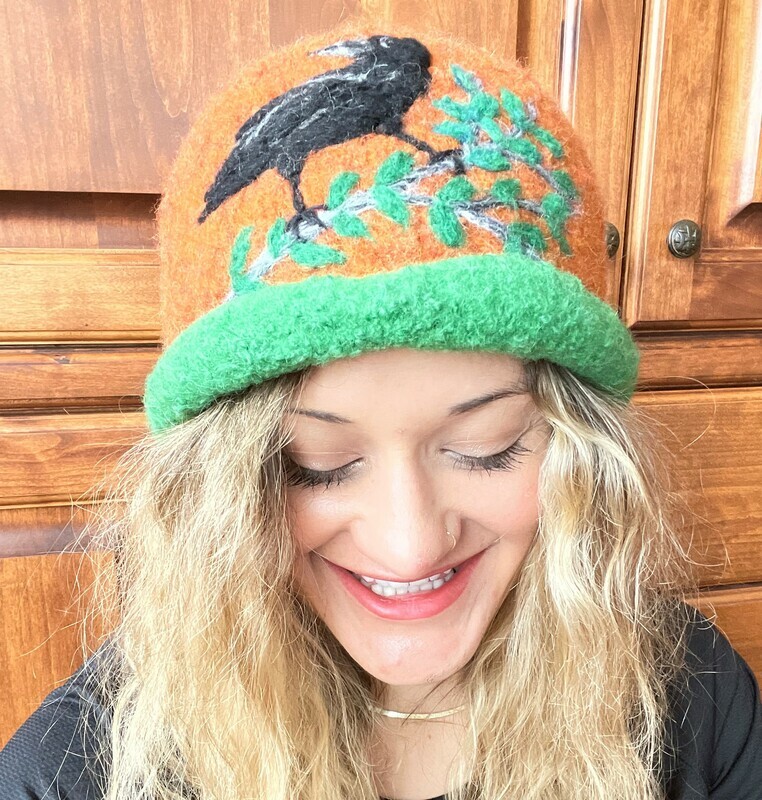 This one is for you. 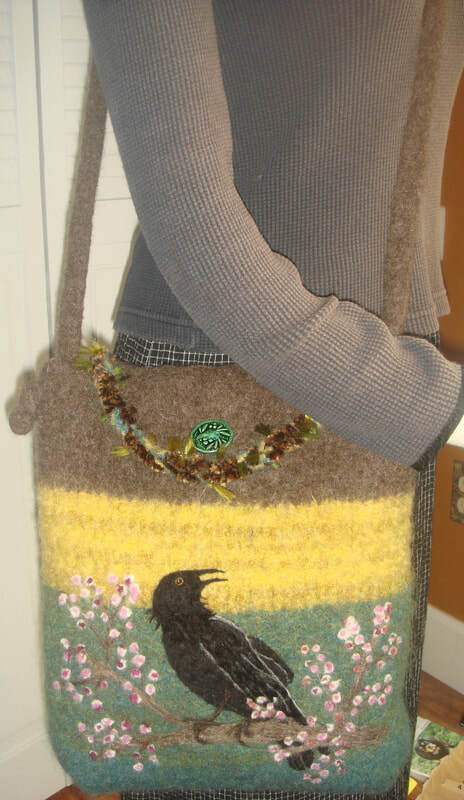 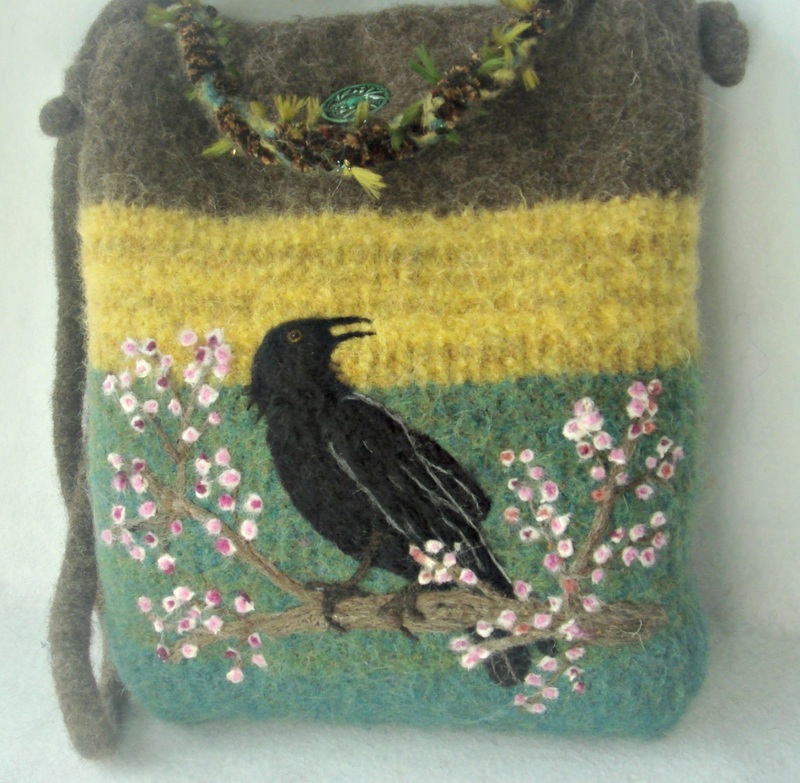 It highlights a felted bag with great muted colors of jade green, heather gold and brown.